What are these? 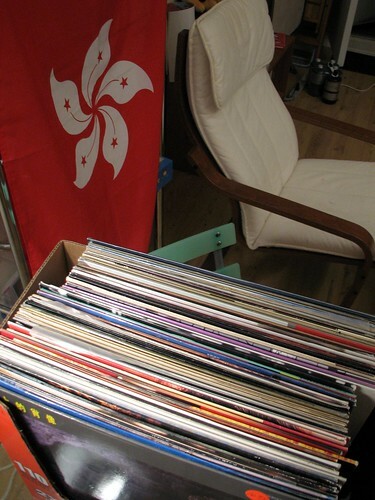 A bunch of vinyls from Hong Kong! My aunt is visiting from Hong Kong and had to empty her closet at my grandmother’s home. 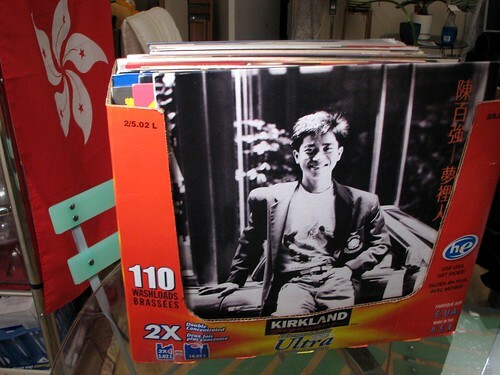 This is how I was passed down these old vinyls from the late 80s, maybe early 90s, period during which stars like Alan Tam, Hacken Lee and, of course, Jacky Cheung and Leslie Cheung were just about starting their career. I was disappointed to find no Faye Wong or Teresa Teng, but I think it’s because the former wasn’t very popular until 1992-ish and that the latter was not so cool for young people considering that she had her career going since the late 1960s. This is Alan Tam 譚詠麟, and I remember listening to his songs when I was 3-5 years old. I especially remembered him because the last character of his name “麟” is a Cantonese homonym of the last character in my Chinese name, “倫”. The other singer I listened to as a toddler was George Lam, otherwise known as the guy with a moustache. Another aunt liked his music — and her husband also sported (and still sports) a similar moustache. Danny Chan 陳百強 is a singer that I did not know about until seeing Hong Kong omnibus film Trivial Matters. In one of the stories, two girls who sang Danny Chan’s songs together at the karaoke take very different paths in life after they both become teenage mothers. 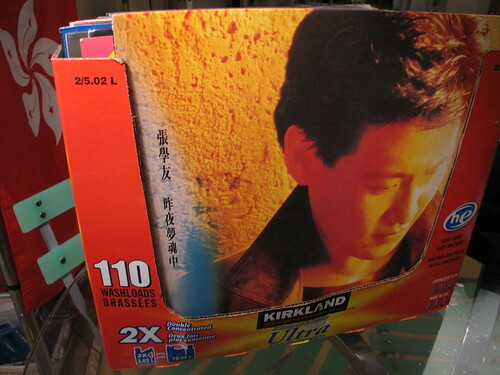 Probably one of the reasons I did not hear of him before, aside from being Cantopop-illiterate: he died in 1993. Then there is Hacken Lee 李克勤. He was very popular in the late 80s and early 90s and, after a slow period of a decade, became very popular again with top-selling hits. My impression is that when I heard of him for the first time in 2002-ish, he looked like an old(er) star with youthful fashion habits. 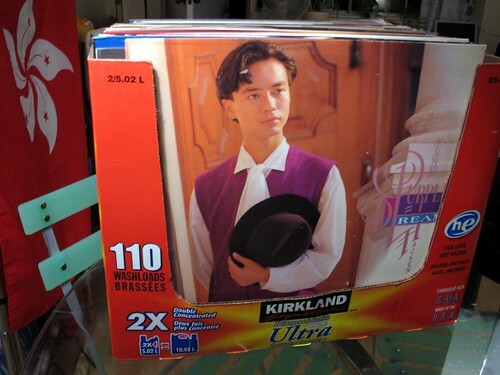 Then of course, you have the two that I always confused, Leslie Cheung 張國榮 and Jacky Cheung 張學友. The former committed suicide in 2003 on April’s Fool in a similar way his character in the last movie he ever appeared in was also going to kill himself. The latter is the one I quote from my uncle for having performed in Montreal sometime (a few times?) in the 1990s. Since then, no major Hong Kong star would ever come to Montreal ever again, except to my knowledge for at17 and then Jason Chan, invited by RVision Productions with the financial backing of Yat Lo, the Montreal business person who runs Loch Cellular in Chinatown. 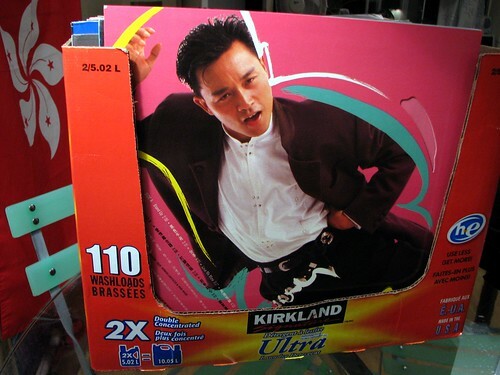 Of course, it doesn’t make things easier when a certain Jackie Chan became famous in the West. Do you know where I can hear more Chinese music that sounds like this? They play this at the grocery store on Clark all the time. This song is funky as all heck! If your aunt has these on vinyl, get at me & I’d buy ’em in a second. I’ve been reading up on your blog and I think you’re fantastic. Seriously. Anyone who publishes JACKY CHEUNG on their page is in my good books for life! haha I grew up listening to him and was more or less convinced that I would one day marry him. Couldn’t resist his voice nor the roles he played in 真的愛你 (True Love) as the richest, most handsome man in HK, “Mr. Vincent Lam,” and in 超級學校霸王 (Street Fighter) as the “Broom Man” or “Brush Head.” Have you seen either one of those movies?? Thank you Claudia — I’m glad that you appreciate the blog! I guess that I had the same type of relation with Faye Wong, say…. But alas, no old records of hers. It was too early. Btw, how did you find out about CLC? oops, i meant to type in 四大天王 within the brackets of . heh, no I meant that my aunt’s period was too early for Faye Wong! She also doesn’t seem to be a fan of George Lam, as the collection did not contain any of his records. Cool, you’re working with Alden. I saw him this summer when he came to Montreal for work. What are you going to contribute? Oh yeah? I tend to have a fixation for learning Chinese… But if you want to learn French, you have to move to Quebec! Those album covers are priceless! 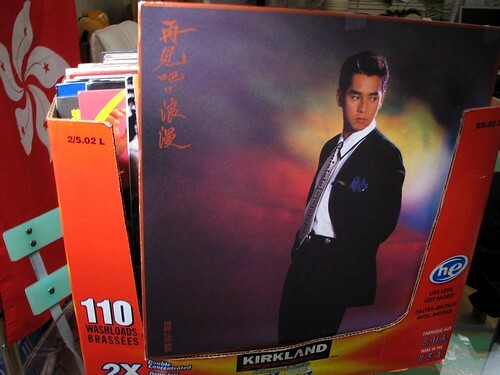 Hey Cedric, is the Jacky Cheung vinyl are for sale? I will buy them! Sure, they are for sale! I’m not sure how much to charge, but e-mail me at cedricsam@gmail.com. I’m not permanently in Montréal (where the vinyls are), and don’t think I can arrange to ship them… but anyway, leave me an e-mail and we can arrange something!